It all started a long time ago…let say about 1998. It was called Alt.Fan.Macross and it was THE place to be if you were a Macross fan. You could find other people like yourself who shared the same crazy interests in an animated series from Japan that started in 1982. You could discuss vintage 1/55 Valkyries, Rare Resin Models, and how come we now have a giant fire engine red Rock and Roll VF-19 Valkyrie in the Macross universe. And just like all good internet forums, you could get into bitter fights with your fellow Macross fan over the approved spelling of “Milia” vs “Miria”, or how Robotech destroyed your childhood. Some things never change. Oh yeah, Happy “Not George Day”! Anyways, the group had been discussing over the course of about a year, the idea of starting up an Macross Fan Group. The process was very cyclic…lots of strong interest and discussion, then lots of downtime as we went about our lives, then back to strong interest. Possible names for the fan group were bantered about for probably a year. Around September 1999, I decided to try and make a Macross fan site. I learned some basic HTML, got the domain registered, and found a server. Here is the official ‘launch’ announcement on December 1st, 1999! I originaly focused on Macross models and books, mainly because the toys were so damn expensive. You have to remember that this was the time of $700 Takatoku 1/55 valkyries. I could get 30 model kits for just one chunky monkey, so it was a no-brainer. My strongest inspiration was of course Egan Loo’s Macross Compendium, which has always been the best Macross reference where you could find data on everything. I just wanted to add pretty pictures to his wonderful online encyclopedia. 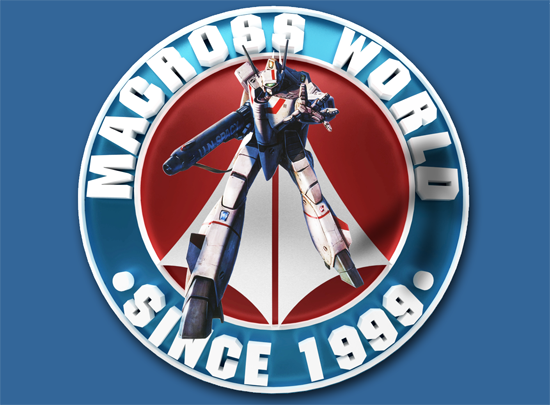 Around this time we also started version 2 of the Macross World Forums. Version 1 was called the “Macross Trading Post”, and it was a very basic board. Think “Craigslist” for Macross fans. I still have it around on an old hard drive haha. The MW forums were never intended to replace Alt.Fan.Macross, just supplement it. It was meant to be an additional outlet for discussion, with the new benefits of having your content in an HTML page (i.e. pictures), vs a strict text only format that the newsgroup provided. Looking back, I almost miss those simpler times though, when I didn’t have to scroll past 5 lines of colorful ‘signatures’ in every post. But take off it did. Even when the Main site grew stagnant with content updates, the forums continually thrived, and to this day are the heart and soul of Macross World. Over the 10 years they’ve been around, we’ve had more than 1 million Macross posts(as of 2012)! That is amazing to me! It is the sign of a great community of fans here. But as I tell everyone who asks about the site, Graham and I just pay the bills and keep the lights on. All of YOUR contributions are what make this community what it is.